The Billion Gallons a Year (BGY) campaign is helping people to keep their water healthy. Clean water is essential to our families, our neighborhoods and our communities. 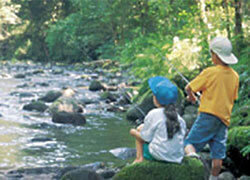 The value of clean water for water supplies, recreation and other everyday benefits is enormous. Stormwater runoff from homes, businesses, streets and other hard surfaces is the greatest cause for damages to waters in Massachusetts. This runoff is produced by the entire community and everyone can be part of the solution. Many organizations are working together to prevent and reduce this common source of water pollution. Project partners are helping people to look at their property and learn how to cleanse polluted runoff. These webpages offer “how-to guides” about low-cost, easy ways to fix stormwater problems. State, federal and municipal laws focus on the stormwater from new development and redevelopment. While regulations are essential, communities need more help to halt the damages from existing streets, buildings, parking and other impervious areas. Runoff from these hard surfaces can be improved by the voluntary actions of homeowners, schools, businesses, churches and other entities. Many small efforts by you and your neighbors will add up to big improvements for our water. Storm runoff produces flooding and pollution problems that damage property, harm stream life and deprive communities of local brooks, ponds and reservoirs. 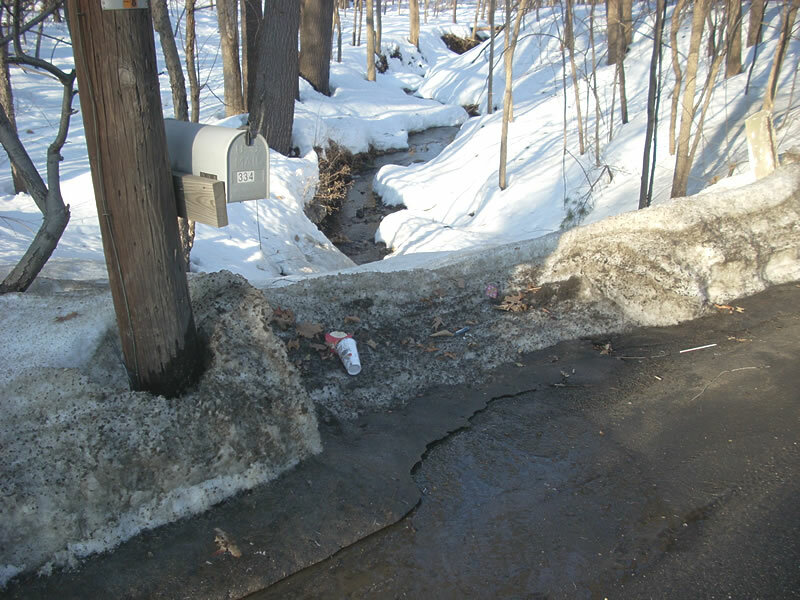 Polluted runoff is cited by state, federal and private agencies as the leading cause of water quality problems in New England. National and local opinion surveys find water pollution is a top environmental concern. Yet few people know that stormwater is the main source of pollution. People can prevent damages to cherished waters by using inexpensive remedies like rain gardens, soakage swales and groundcovers. One acre of paving generates a million gallons of runoff per year that washes a lethal pollutant mix into a stream. But twenty rain gardens filter a million gallons of runoff per year and keep a stream flowing with the clear, cool water that aquatic life needs. Rain gardens and other simple measures can reverse damages, reduce human health risks and renew beneficial uses of community waters. We are part of an ecosystem and stormwater is part of our ecosystem. How we manage stormwater is important to our quality of life. Many municipal officials, homeowners, businesses, and community groups are eager to know how to prevent water pollution. These web pages can help people to build stormwater practices that cleanse one billion gallons of runoff per year – everyone can be part of the solution.